The Administrative Officer is the controlling officer of Establishment Section. 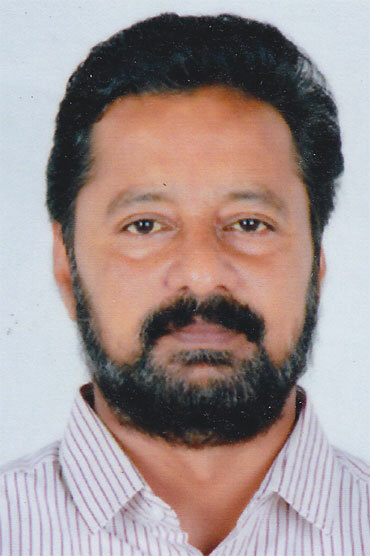 The intermediary officer in the Establishment Section is Sri. Vincent V, Senior Superintendent. There are two main section in the Establishment—EA & EB. The following are the details of work allotted and dealing hands in the Establishment Section. This section deals with establishment matters of all staff in the IHRD, Headquarters, Maintenance of attendance register, causal leave register of establishment wing of the IHRD Headquarters, Files related to Audit of A.G, Kerala State Audit Department in the Establishment Section, answering LA questions and any work allotted by the higher authorities from time to time. This section deals with the establishment matters of all heads of institutions under IHRD, internal selection of higher posts for the concerned section implementation of pay revision under IHRD and answering of LA questions and any other work allotted by the higher authorities. This section also deals with the stock of stationery items in the IHRD Headquarters. EA3 - Smt. Bindu. K.S, Head Clerk. This section deals with the establishment matters of all ministerial staff under IHRD their internal promotion for higher post, files relating to Staff Pattern and Special Rules of IHRD, answering of LA questions and other works allotted by the higher authorities from time to time. This section deals with the establishment matters of all categories of Lecturers, Senior Lecturers of College of Applied Science, Model Polytechnic Colleges, Technical Higher Secondary Schools, Regional Centres, Model Finishing Schools and Study Centres etc….and their internal selection for higher posts, answering LA questions. Files related to the creation of temporary post under IHRD. EB1 also deals with the Record Section under IHRD Headquarters. The Assistant posted in this section functions as the Record Keeper. This section deals with the establishment matters of all categories of Junior System Analyst, Computer Programmers, Librarians, Library Assistants, Lab Assistants, Last Grade Staff and Part-time Staff and their internal selection for higher post, answering LA questions and any other work allotted by the higher authorities from time to time. This section deals with the establishment matters all categories of Foreman, Demonstrator, Trade Instructor, Tradesman and the Medical reimbursement claim of all staff members under IHRD. File related to LA Interpellation and its timely disposal etc… Files related to formation of internal complaints committee for prevention, prohibition and reddressal of sexual harassment of women at work place. This section shall also deals with all general matters relating to Establishment Section not specifically allotted to other sections.